The Wedding Planner Magazine | Appletree Terrace at Newberry Estates - A unique intimate atmosphere for your wedding! The Apple Tree Terrace at Newberry Estates offers a unique intimate atmosphere for your wedding. 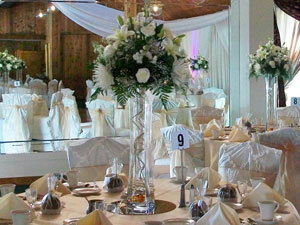 Fred J DiMaria, owner, has built his renowned 30 year reputation with his personal attention to each bride and groom. From the beautiful outdoor wedding site, to the natural surroundings, relaxing patio, cocktail area, a formal sit down to lavish stations with the menu designed just for you and the cozy ambiance of the Apple Tree Terrace makes your wedding unforgettable!